Shortly after his conversion, Dan felt a desire for pastoral ministry. After college, he and his wife moved to the Twin Cities where Dan could attend seminary. During his seminary and local church training, Dan was grounded in the gospel. Through a mutual friend, he connected with Pastor Jeff, and Dan and his family began to help with the church plant of Grace Community Bible Church. 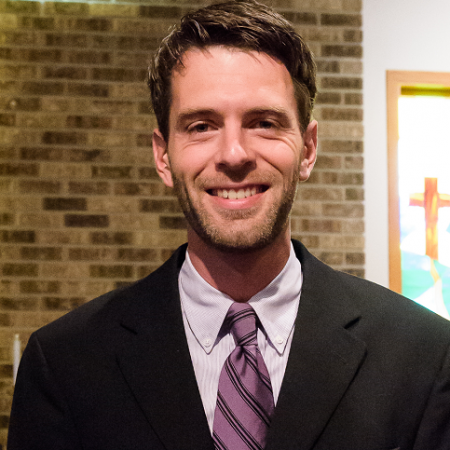 In the fall of 2012, Dan was called and ordained as an elder at Grace Community Bible Church. Dan received a Bachelor of Science Degree in Accounting from Bob Jones University in 2003. He completed a Master of Arts in Theology from Central Baptist Theological Seminary in 2008. He has also taken classes from Reformed Theological Seminary. He is also certified with the Association of Certified Biblical Counselors. Dan has been married to Beth since 2004. They have been blessed with four children. In his spare time he enjoys mountain biking, downhill skiing, golfing, and Jeepin’ in Moab, Utah.